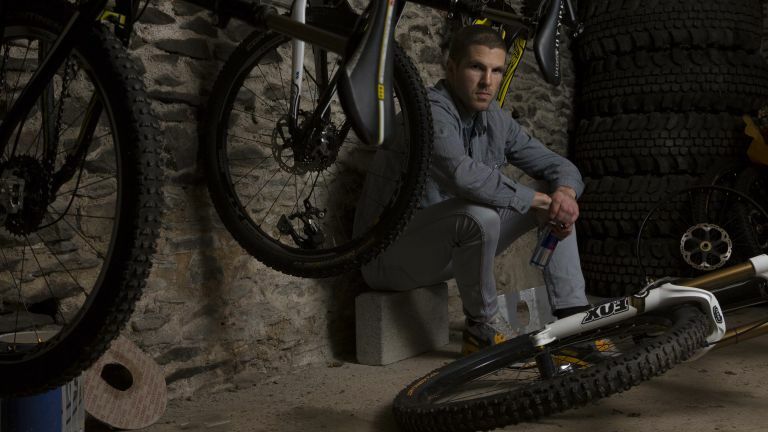 Dan Atherton’s top tech checklist looks as you’d expect given that he’s a professional mountain biker with a penchant for pushing the limits of competition. There’s Muc-Off C3 Ceramic Dry Chain Lube, a Bell Full-9 Helmet, Silverline Shovel, Fox Float 40 Factory Forks, a GoPro Hero 5 and, of course, a Trek Session 9.9 DH 27.5 bike. Why the shovel? Well, Dan’s a seasoned veteran when it comes to designing his own competition tracks, like the one he’s created in the Welsh countryside for the latest of Red Bull’s Hardline series. So, needless to say, a shovel makes perfect sense. Red Bull Hardline is known as one of the toughest downhill mountain bike races in the world and, this weekend, the event arrives in Dyfi Valley, North Wales for its fourth year in a row. The course itself has been carefully crafted by Dan and is intense. It features huge gap jumps, giant slab rolls and incredibly tight woodland sections. And, as well as building the imposing course, Dan is also competing alongside other riders from around the globe. He’s more than ready for the challenge, thanks in the main to his fiercesome two-wheeled creation.